This photo was taken May 8th (yes, I’m a little behind on posting), and the weather had just gotten warm enough for me to go outside and BBQ. 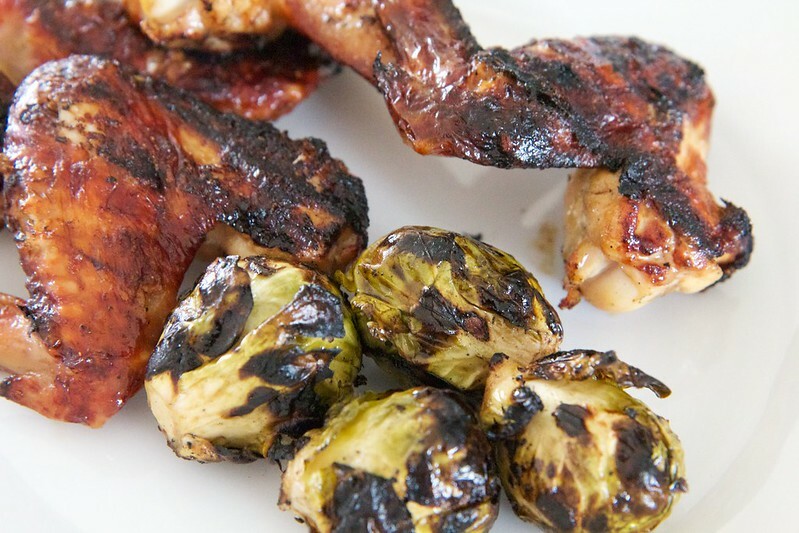 I had been wanting to try grilled brussels sprouts for a while now. I’ve documented my love of brussels sprouts frequently, so I was really excited to try them grilled for the very first time. Unfortunately, I chose not to follow the recipe (that suggested I microwave them first), and they ended up being undercooked. I have plans to attempt them again because the portions that were cooked were delicious. This entry was posted on July 20, 2012 by debbe. It was filed under 365, Food and was tagged with bbq, brussels sprouts, chicken wings, Food.